The P. family had continuing moisture problems in their Hartsdale home and needed it fixed once and for all. They contacted the experts at CT Basement Systems and Richard our certified crawlspace repair specialist fixed all of their concerns. We took their damp dark crawlspace and transformed it into this beautiful crawlspace above with the help of our CleanSpace Crawl Space Vapor Barrier. Along with protection from mold and rot, a dry crawl space will also be inhospitable to termites, cockroaches, ants, crickets, and many other pests that need excess moisture to survive. Mice and rats are deterred by the plastic vapor barrier, and flooding waters will be kept at bay. Our Sanidry CX was also installed to make sure any moisture that was in the air would be removed. The hom owner now can rest assured that they will no longer have any moisture issues in their crawl space. Before, this Hartsdale, NY home had an insufficient sump pump that was causing for a wet crawl space. The homeowner was tired of the consequences of a deficient sump pump and decided to call the experts at Connecticut Basement Systems to provide a permanent solution. The solution was to replace the old sump pump with a Triple Safe sump pump, the most reliable system that offers three levels of protection! Now, the area stays clean all year long and the homeowner is reassured that he will not have suffer with the consequences of a deficient sump pump. Before, this crawl space in Hartsdale, NY was dirty, uninsulated and smelt like mold. All of these indications are related to an unhealthy crawl space which can affect the entire home and heighten allergies or asthma symptoms. The homeowner wanted a safe and healthy home which prompted him to contact the experts at Connecticut Basement Systems to provide a solution. Now, the crawl space is sealed with SilverGlo wall panel insulation and CleanSpace is protecting the floors from any unwanted odor or moisture from coming through. A SaniDry Sedona dehumidifier was also installed to keep humidity below 55% which will prevent mold from developing. Once all of these products were installed, the crawl space was transformed into a clean and healthy crawl space! I'm looking to have my basement walls sealed and painted where needed as well as basement floor painted . Our basement is bare to the concrete floor and we are looking to refinish it. Cell we need a sump pump in basement. We are purchasing a house, and its crawl space needs to be taken care of. The foundation of a ground floor room in our house is seeping and causing the plaster in one of its walls to flake off. We would like you to inspect it and propose how to fix it. All the positives come with a caveat - it would be hard to recommend a waterproofing company until the next giant storm. My basement typically floods once a year. So we are looking at next spring for the real test. Thank you Connecticut Basement Systems for being flexible in getting to us in a timely manner and doing a great job. everything went as planned and the staff was efficient, showed up on time. the salesperson (Tom) explained the process thoroughly and the video was very helpful. I called him and he called me right back several times. All in all, a very good experience. From the salesmen (Tom H.) to the installers, it was the best experience I have ever had! The video of a basement refinishing done by Larry Janesky was very compelling and played a big part in my decision to go ahead with the work. They arrived as scheduled and installed as requested. They cleaned up the work site and were polite. The test is whether my heating/cooling bills will go down. Definitely will let you know. I also enjoyed reading your founder's book which was very informative and easy to read. It all went very smoothly and we were very satisfied. Sisco,the supervisor on the job,was very good and if we needed you again we would certainly want him. We will properly install a hidden drainage system in your Hartsdale basement and completely encapsulate your crawl space with CleanSpace vapor barrier. We are here to solve the problem for you. Unlike the average Hartsdale contractor we use completely inorganic, waterproof materials. Even if the basement floods your walls and floors will not be damaged by the water. These waterproof products are patented and are built to create an attractive finished basement that lasts a lifetime. Foundation problems destroy your Hartsdale home’s value and can be dangerous. Our in-house team of structural and geo-technical engineers are here to help. We design and install the right solution and usually have the project finished in less than a week. You will have peace of mind as we provide a 25-year written warranty against defects on our foundation products. Once the Cement dries in this basement the floor will look as if we were never there. This Hartsdale, NY home had a dirty, moisture-filled crawl space that was unhealthy and impacted the rest of the home. This was concerning for the homeowner as he wanted a clean and healthy crawl space. He decided to reach out to the experts at Connecticut Basement Systems to provide a solution. On the day of the appointment, Salesman Gary Meglino arrived at the home to inspect the crawl space. He concluded that the moisture was the main cause for the dirty and unhealthy area. This could be solved by installing a CleanSpace liner which acts as a moisture barrier and gives the crawl space a cleaner appearance. 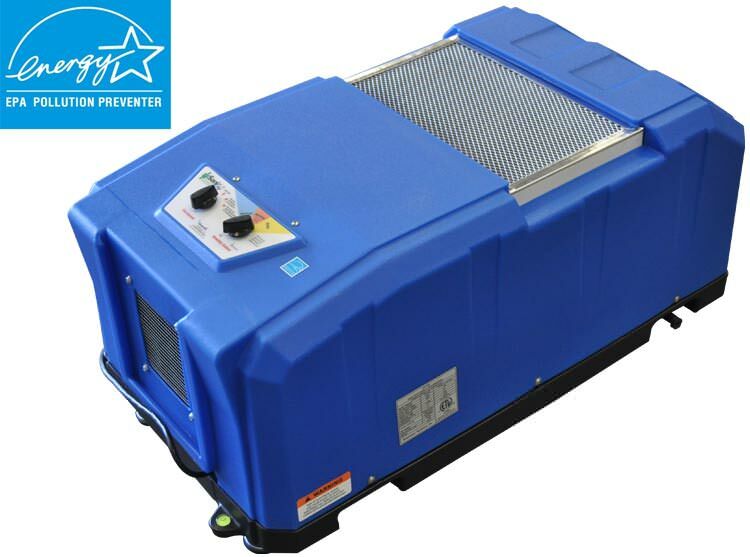 To also help with moisture and humidity, a SaniDry Sedona Dehumidifier would be the perfect option because it will keep the air healthier by keeping the humidity below 55% at all times. SilverGlo can be used to insulated the walls of the crawl space to prevent any unwanted air from coming through. After reviewing all the products with Gary, the homeowner decided that these products combined would be the best solution to make his crawl space a cleaner and healthier environment. On the day of production, Noel Harvey and his team installed each product efficiently and professionally. Once everything was installed, the crawl space was transformed into a healthier and cleaner environment that now positively impacted the rest of the home, just what the homeowner had wanted! I would like to have an estimate for solving a water problem in my unfinished basement. I have water coming in my finished basement. I would like to make an appointment for an assessment and estimate. Please let me know of your first availability. Thank you. Due to the recent storm, my basement(12x33 finished+ some unfinished space) had 4 inches of water from sump pump stopped working(no power for 4 days)--yesterday had my basement taken apart for drying and venting with a commercial dehumidifier and fans in place till Monday. Would like a quote on what it will cost to rebuild it and perhaps make it better then before. I work for a residential storage company. I have a basement that is constantly flooding. We are also interested to learn about exterior protection.